Participants with Dr Dubey. 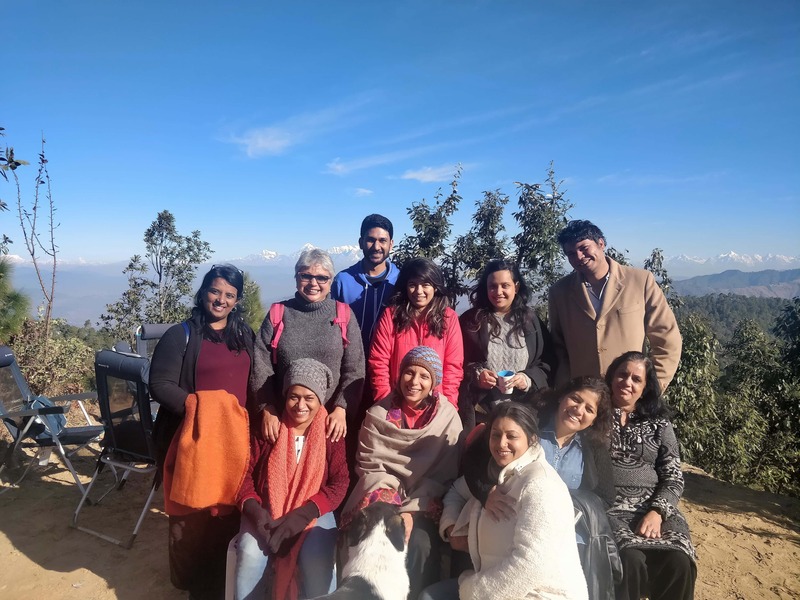 Writing for Self workshop, 22-26 December, 2018. The December workshop was fully subscribed, and a huge success. Details of Feb end workshop below. Are you looking to get away to a quiet place in the mountains to take time out for yourself? Being in quiet, natural surroundings is therapeutic. Add to that writing for self understanding and self growth. Through a host of different creative writing exercises participants at this workshop will get an opportunity to self reflect, gain some insights into their thoughts and feelings, and possibly find a new perspective or a better way to deal with life’s challenges. How much : INR 29,400 ( 3 days, 4 nights of learning, twin-sharing stay, food and taxes). No hidden costs. How to attend : Complete the application form (link below). Typically within a day you should get a confirmation, after which you will need to transfer 50% of the workshop fee to secure your spot. You can pay the balance up to two weeks before the workshop. Email us your questions at chetan@himalayanwritingretreat.com . Only ten participants accepted on a first-come first-serve basis. This workshop typically gets sold out so we recommend you book the event and the travel ASAP.